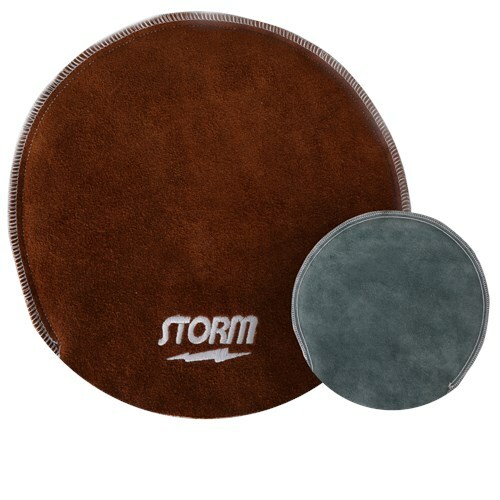 Storm has taken the traditional shammy pad and bumped it up to a new level. The Storm Deluxe Shammy is dual sided. One side is used to wipe your bowling ball between shots and the other side is used to deep clean your ball between games. By Jay from Fayetteville, NC. Item is easy to hold and clean ball with. The pocket helps to control pad when using. Simply hand wash the Shammy in a sink when needed and let air dry. Hello Bear. You can use warm water and soap but you will need to rinse it thoroughly. Do not dry this in the dryer. Does this Shammy have an opening to put hand in? Unfortunately, it does not have an opening to put your hand in it. Due to the time it takes to produce the Storm Deluxe Shammy ball it will ship in immediately. We cannot ship this ball outside the United States.